Firm was founded by the late Laurence C. Crawford FCA in 1938 and originally operated as Laurence C. Crawford Chartered Accountant. John C. Swallow CA and Robert F. Smith CA became partners with Laurence C. Crawford in 1958 and the firm changed the name to Crawford, Smith and Swallow Chartered Accountants. 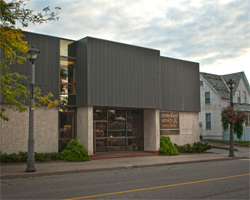 They are located at 4741 Queen Street.